Raise your glass and thrill your tastebuds as Executive Chef Josh Drage launches his brand new kitchen. 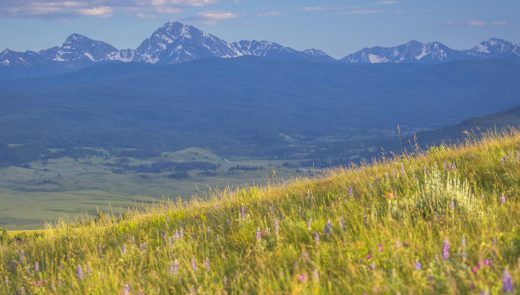 See our 'Home on the Range' celebration itinerary! Welcome to The Ranch at Rock Creek. 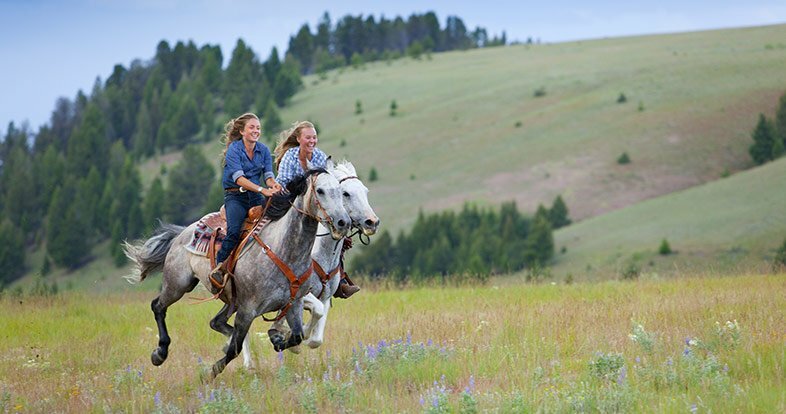 The World's First Forbes Travel Guide Five-Star Guest Ranch. Our 29 one-of-a-kind accommodations, which can host up to 125 guests during our summer season, are thoughtfully woven into the The Ranch’s landscape. 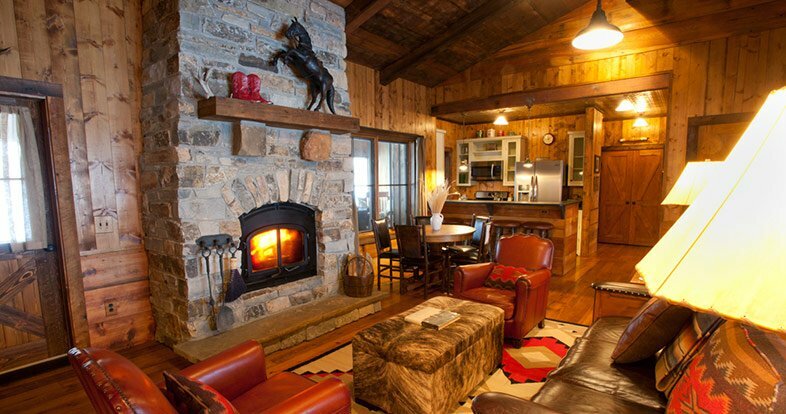 Ranging in size from one-bedroom suites to five-bedroom homes, we offer four distinct styles of lodging: Granite Lodge suites, a converted Historic Barn, Luxury Homes and Canvas Cabins for glamping. The design echoes home more than hotel – with deluxe amenities, custom furniture and decor that showcases a distinctive Western heritage. Channel the pioneer spirit that encouraged our homesteaders to ascend the next peak. Our knowledgeable guides lead outdoor adventures on 6,600 acres of ranch land, including four miles of Blue Ribbon Rock Creek. Guests are fitted with gear and set out on twice-daily expeditions, such as fly fishing, horseback riding, archery and cross-country skiing. 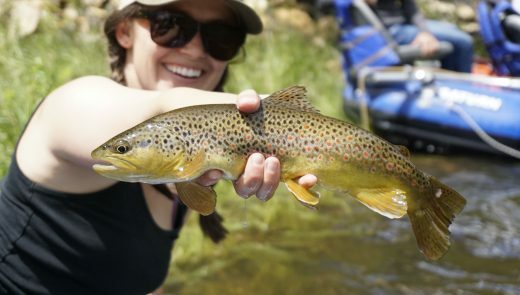 Leave Montana with knowledge and abilities that will enrich your future travels, or return year after year to hone your expertise. 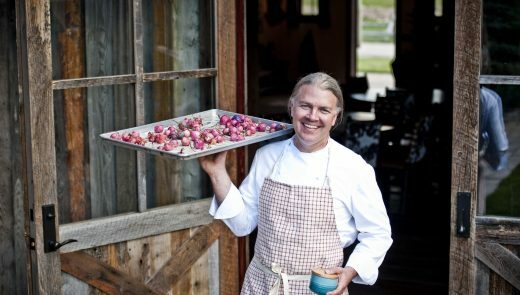 As a Relais & Châteaux culinary property, The Ranch at Rock Creek presents world-class, unique dining experiences. Executive Chef Josh Drage’s kitchen tells a story of ranching heritage, mountain tradition and modern palate with seasonal menus featuring locally-sourced ingredients, paired with regional wines. 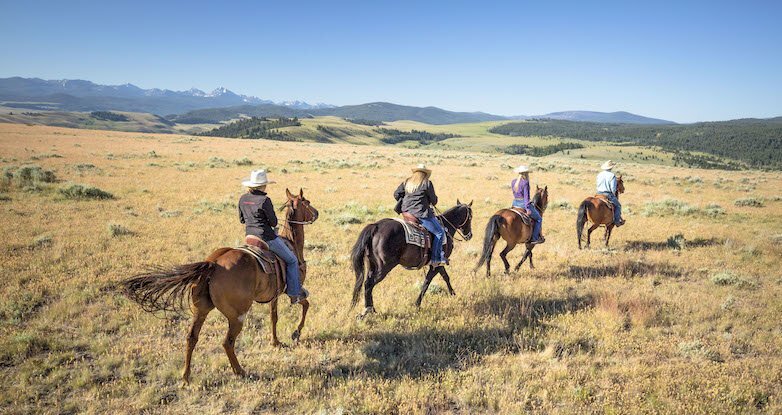 Daily meals, in-room snacks and premium wine, beer, spirits and other beverages are always inclusive, as part of your restful luxury ranch vacation. 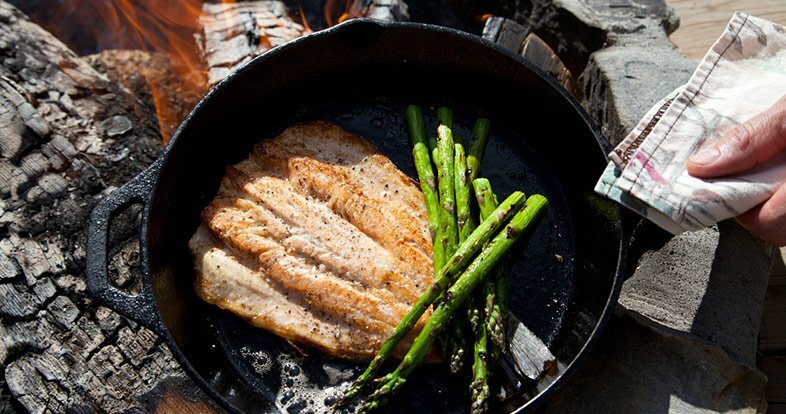 Glamping combines modern comforts (glamour) with the beauty and thrill of camping. Enliven your Montana vacation by staying in a Canvas Cabin on the banks of Rock Creek. 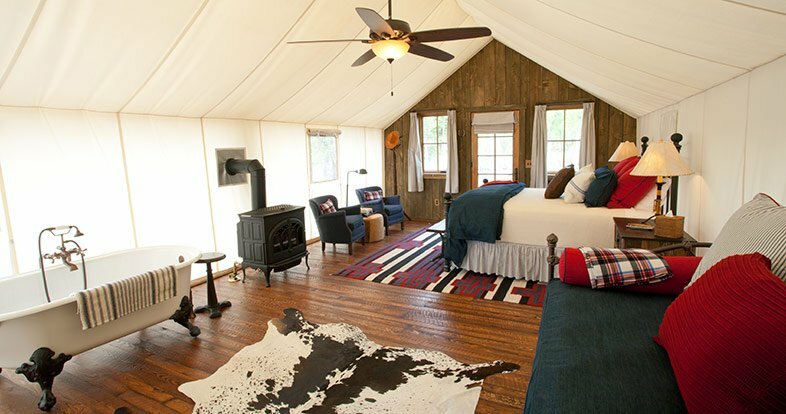 These 10 custom structures are part ivory canvas tent and part rustic wooden cabin—designed to replace the inconveniences of backcountry camping with luxurious amenities like gas stoves, comfortable beds, private bathrooms and porches for stargazing. Balance invigorating outdoor adventures with rejuvenation at The Granite Spa. Organic, custom body products and treatments, like the Rock Creek Ritual and Saddle Sore Soak, are inspired by the Ranch’s wild scents and soothing waters. 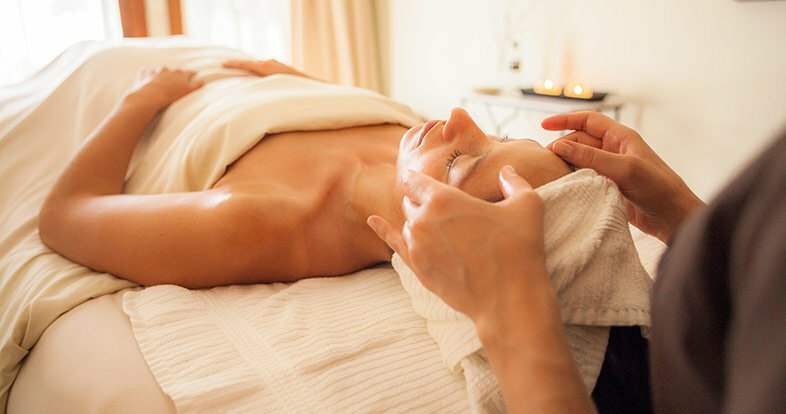 The Spa is open daily for massage, facials, body work, cedar sauna sessions, nail and hair services, in addition to private yoga sessions in the Silver Dollar Saloon or on a mountain-top vista.